(Outdoor and Indoor), our system is dedicated to leisure center. It integrates all the necessary tools to satisfy your custumers and simplify the work of your team. An application filled with features for your customers. Indeed we fully customize the application, we integrate your logo, your colors and we publish it on Google Play Android and the Apple Store. Your customers can then download it for free and access to a lot of features for your center. On the administration side, you control the App from your client area, you can also send automated or mass notifications (push) to your customers for your marketing campaigns. Your customers and prospective members can register through kiosks or on the Internet without even leaving their homes. We can provide a good quality membership cards, please contact us for more information. 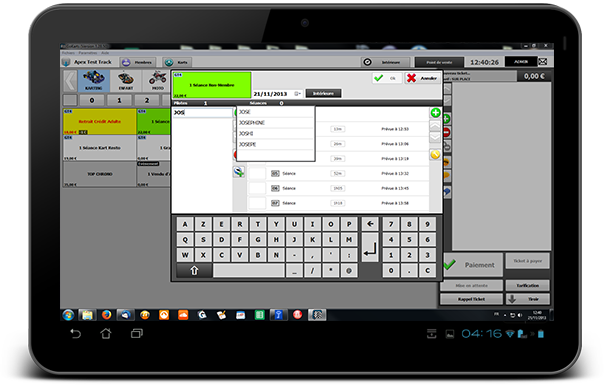 Our GoKarts solution integrates the entire Marketing Management Tool for quotes and invoices. It has a real unit of point of sale specially designed for your business. 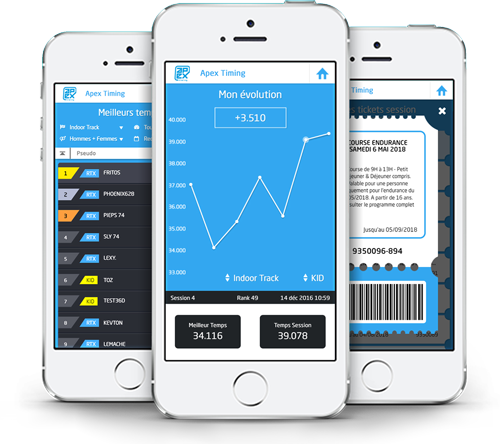 This comprehensive and intuitive module is a real supplement to manage your karting products but not only. If you have a restaurant, bar, or you're selling the spare parts, our POS will manage all of it easly ! A Data Export is also integrated to simplify your work. 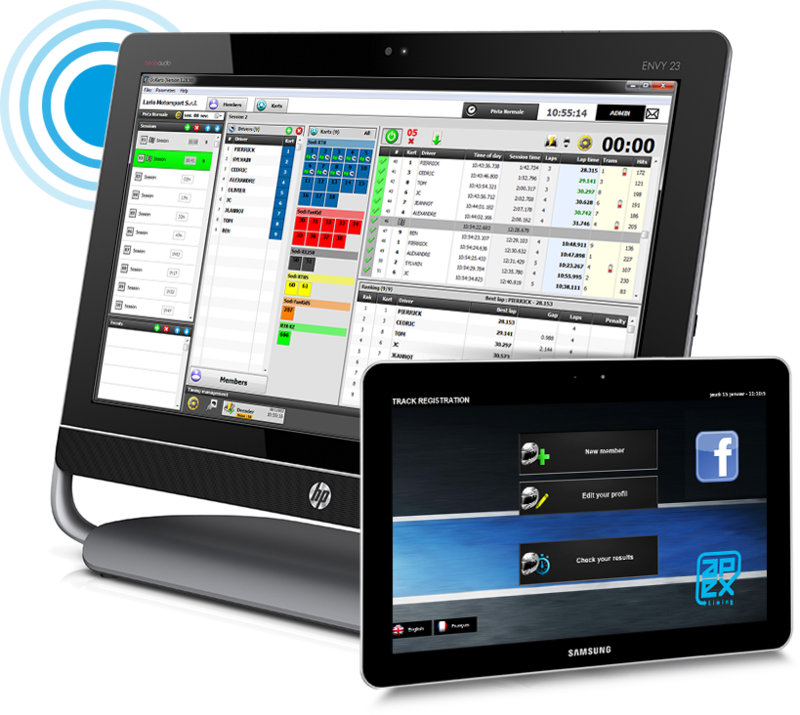 Apex Timing offers a whole range of professional hardware: receipt printers, cash drawers, barecode scanners, magnetic card readers, touchscreens...Please, do not hesitate to contact us. GoKarts will manage your rental sessions, events and endurance. An ideal tool for timekeeping. If a kart crashes during a session or a race, no panic! You can easly replace it. 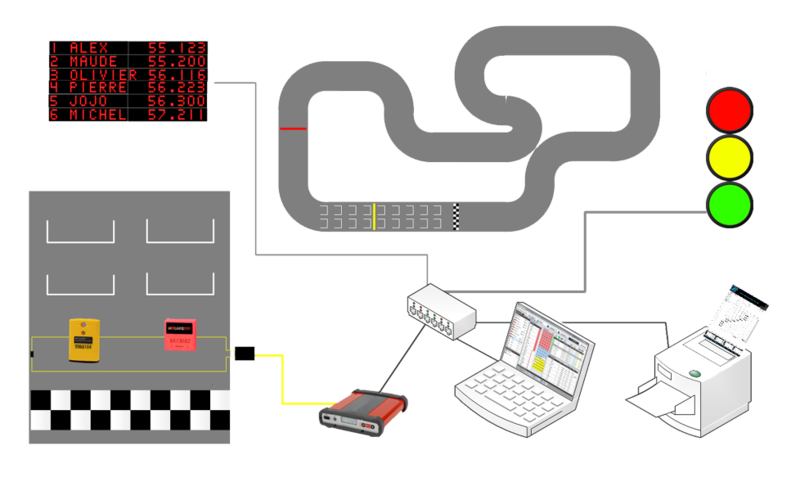 Follow the performance of your karts with the real maintenance tool integrated to our software. You can create the whole list of repairs at the different frequency and our software will automatically show you a maintenance to make. We will be able to provide any display you need. 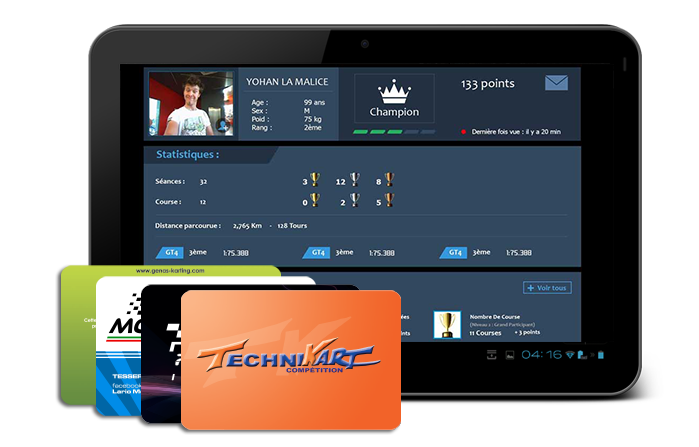 Thanks to the Schedule integrated in GoKarts you can organize events, endurance, and groups. Create your event only in few secondes! If you wish to manage your rental sessions at the same time, you can organize your track sessions according to your need. The ticketing module is integrated and it allows the management of vouchers. GoKarts can easly handle prepaid vouchers, gift tickets and tickets offered by a Works Counsil. To help you to operate our software in autonomous way, our team has created your personal space where we shared the videos and documents online. 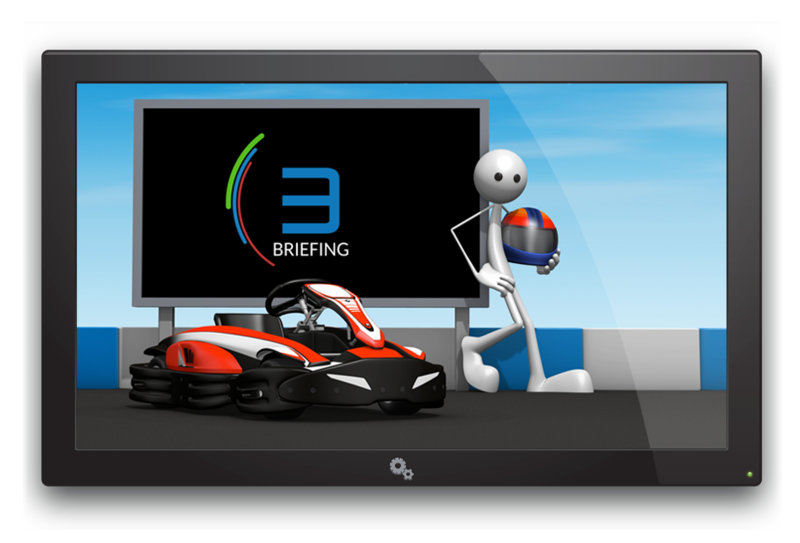 GoBriefing is an autonomous briefing video made in 3D especially for Go-Karts centers. We can customize it at your image with your logos, karts and even the colors of your barriers. Install your TV and insert a USB stick. It is as simple as that ! We have several years experience in timekeeping, we can advice you which equipment to chose so it would fit perfectly to your need. 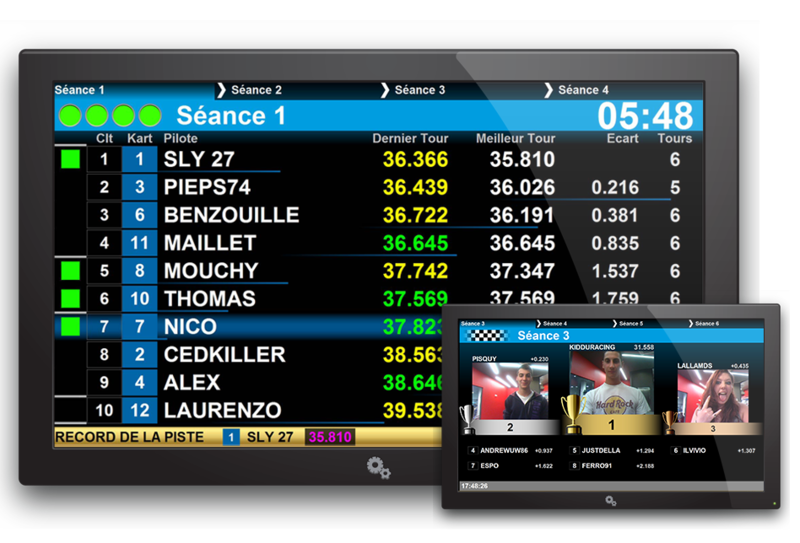 Our software is currently compatible with different timing devices MyLaps decoders, AMB, Chronelec, TAG Heuer, Be Chronized, Kart Timer, DSVT, Race Results...We are also compatible with many display panels and scoreboards: traditional or video. We can also control the speed of karts by the De Haardt system. For safety reasons we can automatically slow the karts at the end of the session or the race. We can provide all of it. Please do not hesitate to contact us.